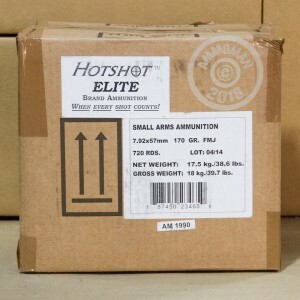 Buy 8MM Mauser in bulk to save! 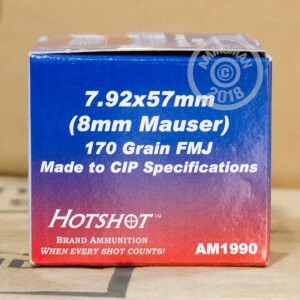 This new production 8mm Mauser ammunition is imported by Century Arms and manufactured in Romania. 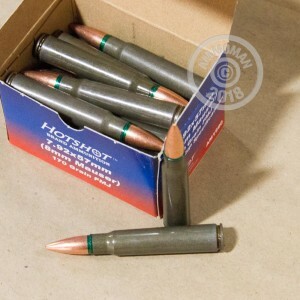 Each cartridge fires a 170 grain bimetal jacketed bullet ideal for outdoor range shooting. These cartridges use non-corrosive Berdan primers and non-reloadable steel cases and have sealed case mouths and primers for long-term storage. Bulk orders over $99 ship for free!